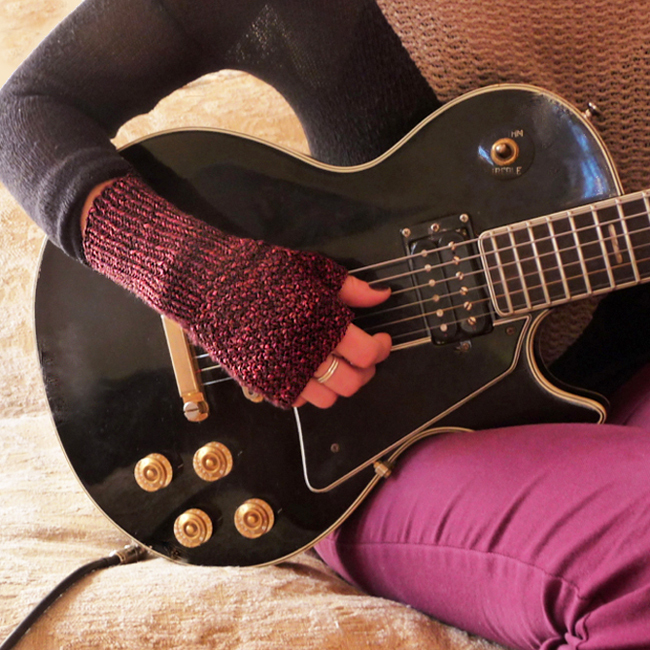 Inspired by the Whitman Hat, these customizable fingerless gloves adapt to fit your hand with just the right amount of texture and character. 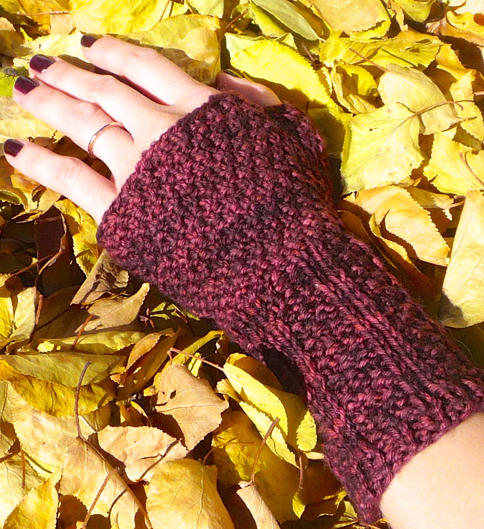 Increases that are worked in pattern and an invisible bind-off create a seamless aesthetic and reversible comfort. 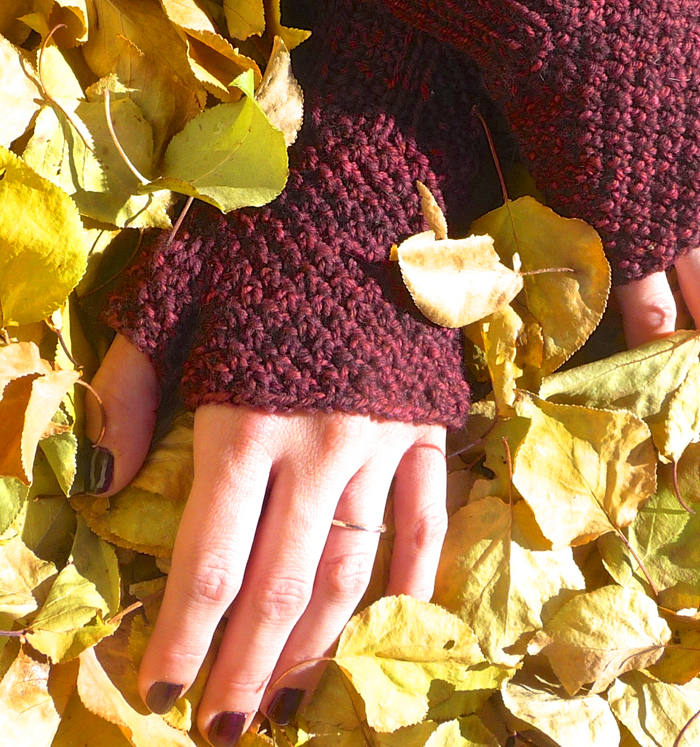 The textured stitch and yarn weight create a warm, durable and stylish mitt. 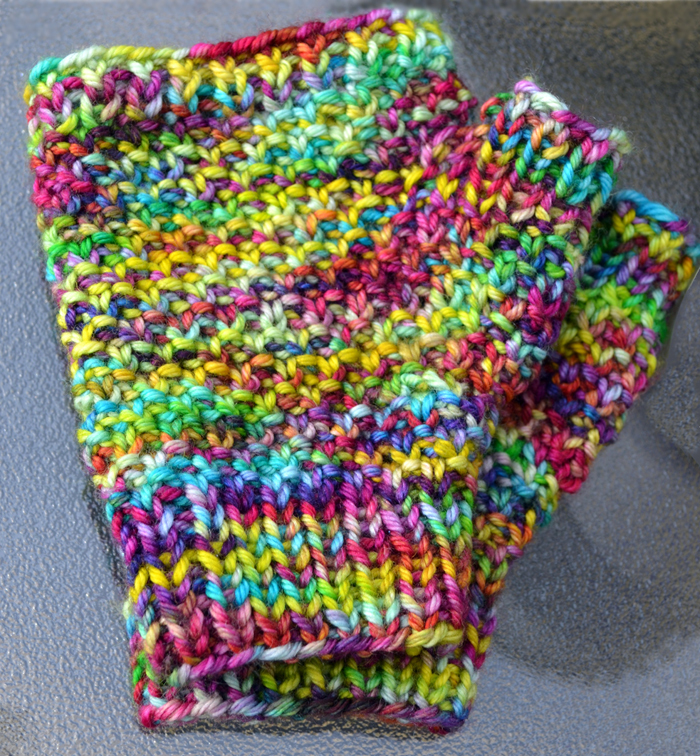 The sample shown here was knit in Verdant Gryphon Traveller in color Yerevan. Instructions are included for two sizes, two lengths, and there are two design options for the forearm/wrist and two for the thumbs. Special instructions are included for using a limited quantity of leftover yarn, perfect for using up yarn leftover from the Whitman hat! Less than 1 skein (40 – 150 yd / 35 – 135 m) DK yarn. A plied wool or wool/nylon is recommended. US #4 (3.5 mm) 36 in (90 cm) circular or double pointed needles.